In the Santa Barbara South Coast, eleven months out of the year will lead you to that one special month that makes us whole. That time when we indulge in the fourth course, and we celebrate life’s abundant harvest with reckless abandon. Every October, locals and visitors alike, sip that savored, sought-after libation to cap the perfect day, and gives way to a flawless night. 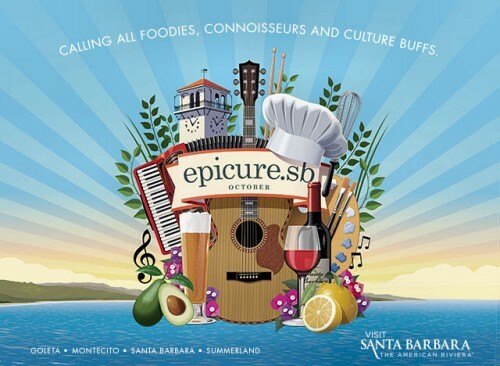 In Santa Barbara, tapping into our happiest self happens year-round, but during epicure.sb, the sunshine flows like moonshine. And for 31 days of cuisine, libations, and culture, the best of everything we have to offer shines as bright as you do, when life simply doesn’t get any better.